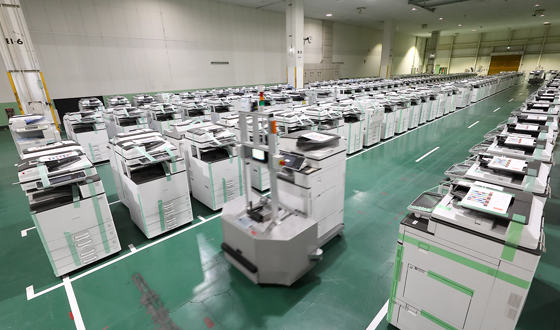 RICOH Rapid Fab Atsugi is the main site for the company’s 3D printing services, housing banks of advanced machines to accommodate specific customer needs. Manufacturers today must take on the challenge of accelerating product development to survive and prosper. That is why even automakers, whose model change cycles are relatively long, are embracing 3D printers in prototype production of exteriors and exteriors so they can develop vehicles that incorporate the latest advances in control technology for autonomous driving. Recent years have also seen the emergence of workshops that harness 3D printers for small production runs. 3D printing has thus become a key to speeding up manufacturing processes. It is against this backdrop that global MFP and copier market leader Ricoh* rolled out a top-quality 3D printing service for customers. ※From IDC’s Worldwide Quarterly Hardcopy Peripherals Tracker for A3 Laser MFP/Copier Shares by Company for the first quarter of 2017. 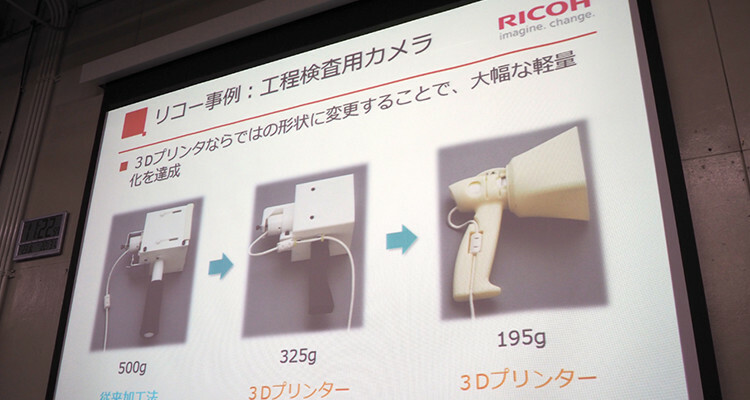 Although 3D printing entered the limelight only 10 years ago, Ricoh has been a practitioner for more than two decades. The Ricoh decision was unusual because the company sought to be both a 3D printer manufacturer and provider of printing services with this technology. 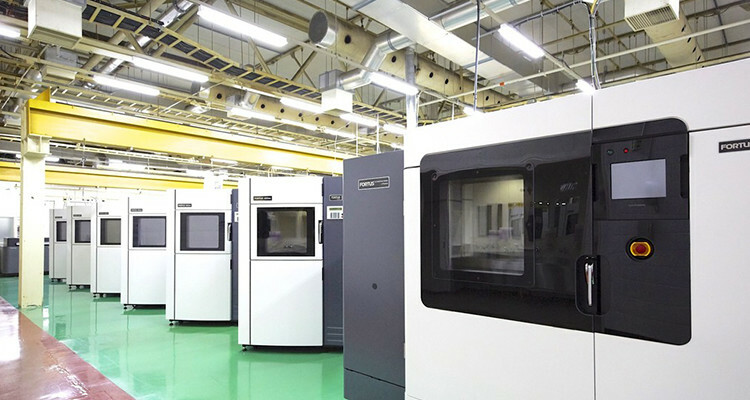 The company’s biggest 3D printing services site is at a facility in Atsugi, Kanagawa Prefecture. 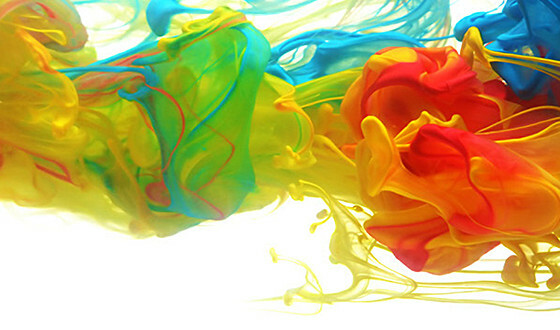 RICOH Rapid Fab Atsugi houses banks of advanced printers for a range of materials and output requirements. The machines are taller than most people and cost anything from tens of millions to hundreds of millions of yen for the most advanced models. 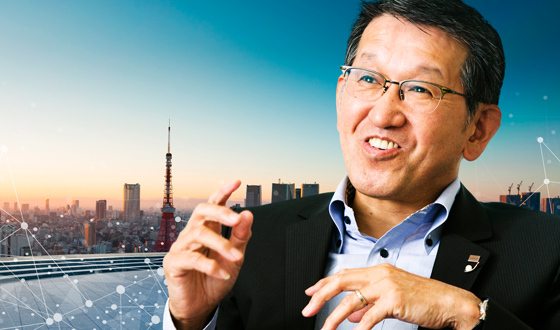 Mr. Emoto says that printing service sales rocketed more than 10-fold between the start of the service in 2015 and 2017, with demand continuing to grow steadily. A key advantage of Ricoh’s 3D printing service is the company’s familiarity with various models. Its service lineup includes the high-speed HP Jet Fusion 3D 4200 for prototyping and short-run manufacturing needs. 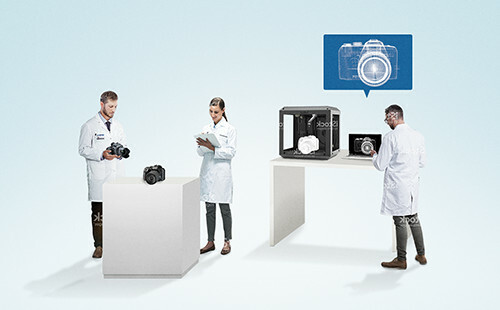 Ricoh has three prime strengths in the 3D printing services market, which is attracting well established companies as well as players from other industries. The first is that it is happy to advise customers who are new to 3D printers. Second, the company offers an array of machines to cater to various materials and sizes. Third, minimal reworking of output is necessary because top-line technicians carefully handle everything from 3D data checking and modification to final output. In other words, the service delivers professional results, even for customers that are newcomers to 3D printing. 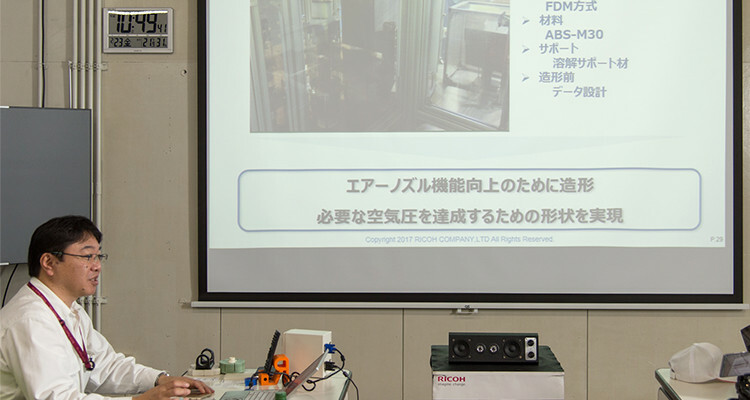 Masaru Muto, a leader in Ricoh’s Additive Manufacturing Technology Office, says that, “Customers choose us because they can be sure to get advice that can come only from the technicians of a manufacturer like us.” Key customers include affiliates of leading automakers and prefabricated housing manufacturers. Some of them have used Ricoh’s service more than 10 times over the past three years. Ricoh’s 3D printing service experts include (from left) Masaru Muto, a leader in Ricoh’s Additive Manufacturing Technology Office, Koji Emoto, a senior specialist from the Additive Manufacturing Marketing Office, and Mitsuaki Sugisaki, a leader of the ES Process Engineering Office of Ricoh Industry Company, Ltd.
3D printing is being used more and more to create final products with the right strength requirements. 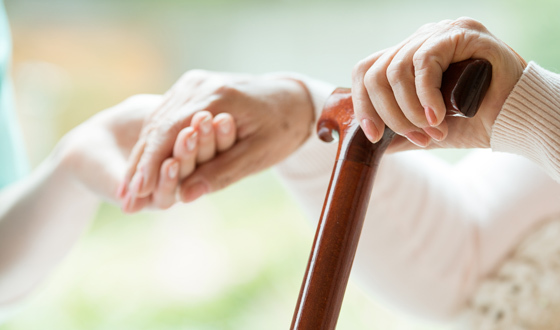 One noteworthy emerging application is for major repairs at large condominium complexes. The part was reproduced based on an old drawing and delivered in around one week. 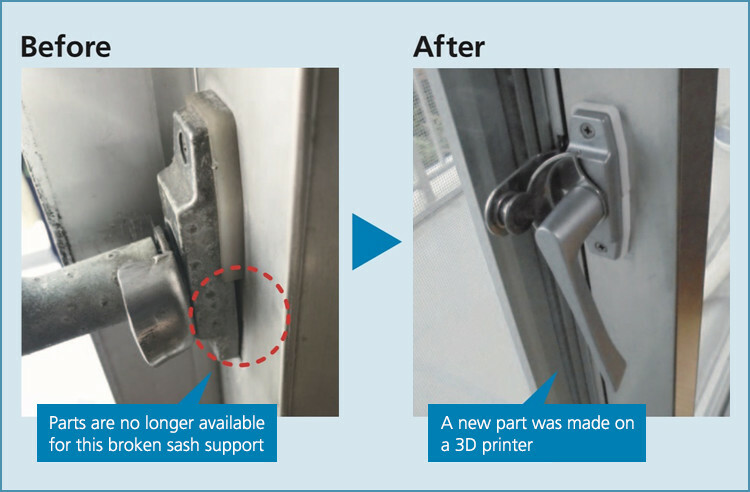 Here, Ricoh undertook several steps to generate 3D data and reproduce a damaged window sash part on a 3D printer. 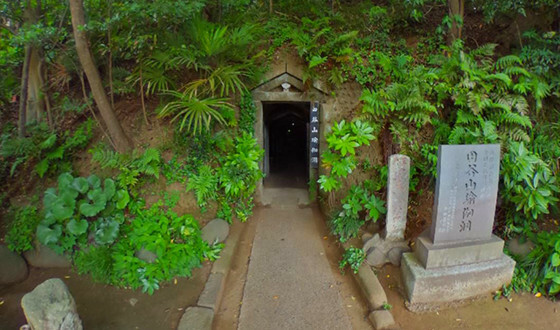 The customer was unable to prepare the 3D data, and asked Ricoh to reproduce the part based on an old drawing from 1978. The customer wanted 200 of these parts made. Such a small run would have been prohibitively costly with conventional manufacturing. 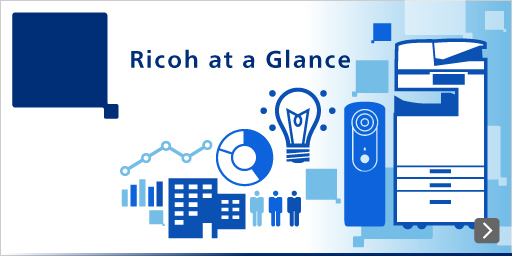 To generate the data, Ricoh set about measuring an intact part and checking against the information in the drawing. It delivered 200 or so of the reproduced parts about a week after beginning the measurement process. 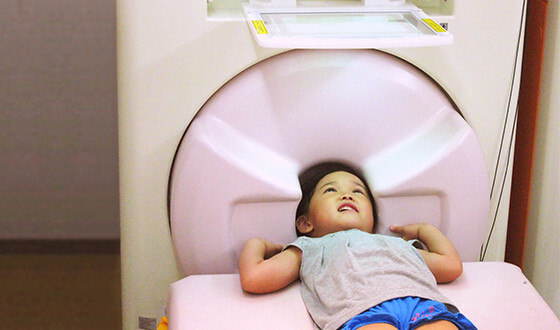 The customer would have needed to spend anything up to several million yen to reproduce the part using a conventional mold, which would not have been cost-effective. It would also have had to wait a month or so for the parts, delaying its repair schedule. 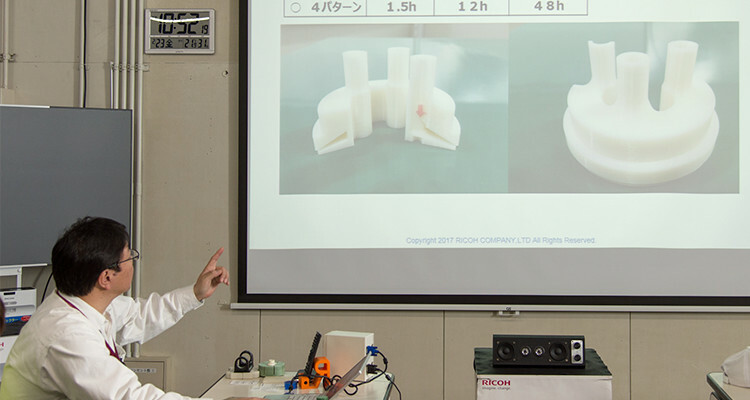 So, Ricoh was able to help by leveraging the short lead times and small run capabilities of 3D printers. A 3D printer was used to make a replacement cap ring for Ricoh’s GR DIGITAL camera. Ricoh is also using 3D printers to supply replacement parts for its own products. A good example is the lens cap ring on the GR DIGITAL camera line, which the company can offer as a replacement part. Years ago, Ricoh may have not been able to provide such parts past a certain time. Notes Mr. Emoto, “3D printers are very beneficial for runs of one to 200 units.” An evolution in materials is making such applications possible. Ricoh has used 3D printing to make production line process inspection cameras that are half the weight of conventional models and employ far fewer parts. 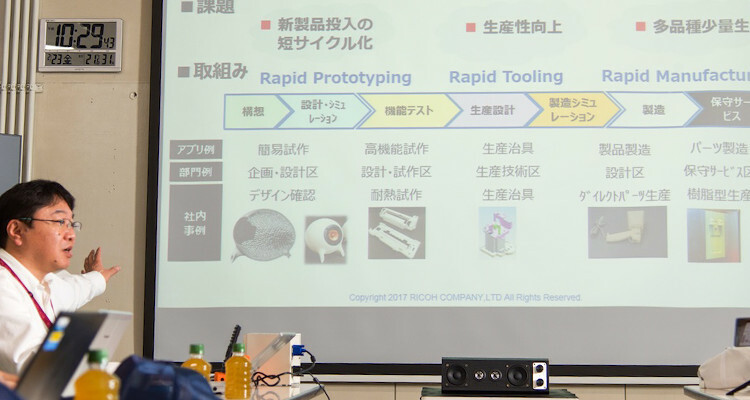 Ricoh is drawing on 3D printer technology to pursue die-free manufacturing and transform and improve the production frontlines. A good example of that approach is its enhancements to process inspection cameras (pictured above). 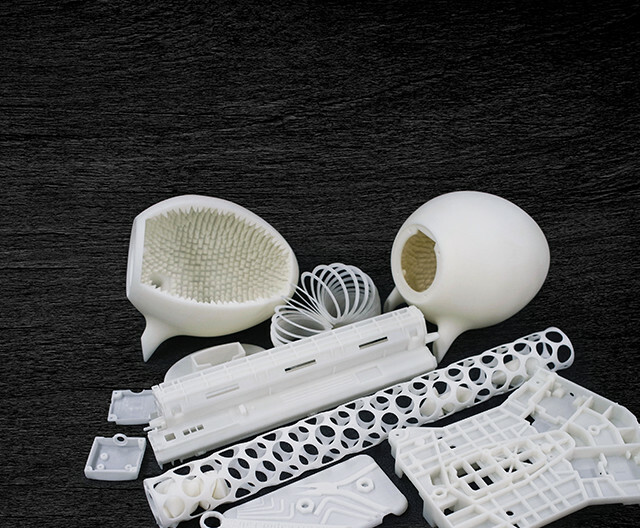 The company switched to using 3D printers to integrate parts and slash the weight from 500 grams, to just 195 grams, also lightening production line workloads. 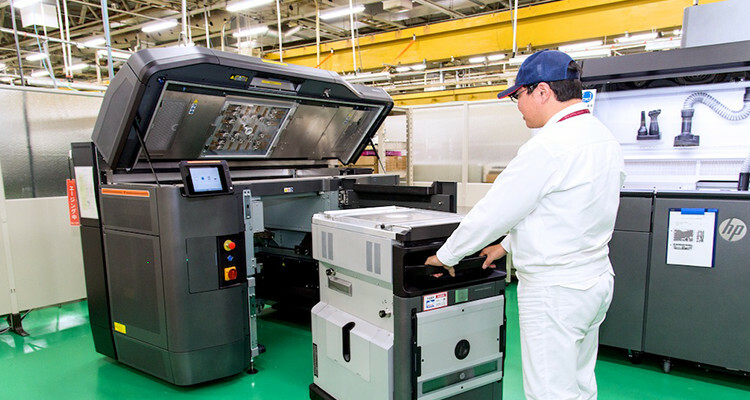 Production subsidiary Ricoh Industry has also improved things with 3D printers, using them to make proprietary air blower parts for high-efficiency exhaust fans and for cleaning recycled toner bottles. As part of business processes, on-site workers use computer-aided design tools to design these parts for 3D printing. Using these printers makes it possible to materialize new ideas locally at low cost and empower workers there to assess performance, using the feedback for swift improvements. Such are the unique benefits of 3D printers. The slide presents an air blower part for cleaning toner bottles to exemplify the unique benefits of using 3D printing at production sites. The complex shape of the cross-section shows that it would be challenging to make such a part out of metal, whereas it is easy to do so with a 3D printer. With the initial 3D printing boom having peaked in 2013, Mr. Emoto says that interest is again on the rise. The drivers include evolutions in metals and high-performance materials. 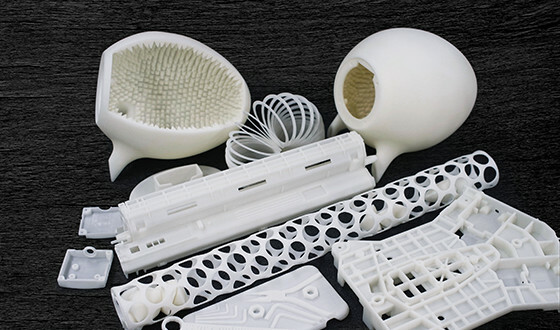 The use of materials that can be used in final product makes possible designs delivering the special strengths that are unique to 3D printing, bolstering anticipation for brand new manufacturing techniques. 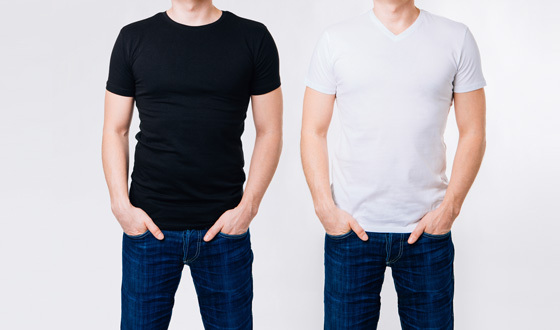 Are T-shirts draining our world?